To answer your first question, yes it’s delicious. 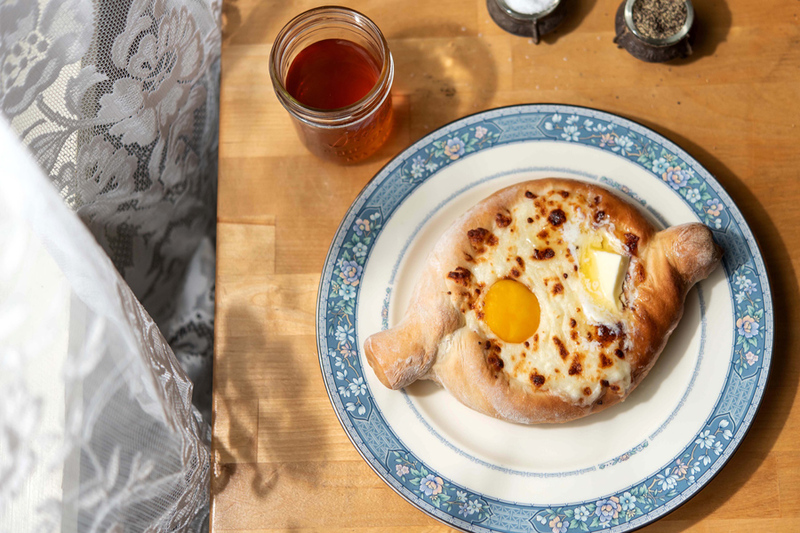 To answer your second question- it’s called an Acharuli Khachapuri. A mouthful, I know. It’s basically an open-faced bread boat stuffed with cheese, butter and an easy egg. I mean- bread. cheese. butter. egg. How could you possibly go wrong? This wonderful food dish is from a tiny restaurant in NE Portland called Kargi Go-Go. 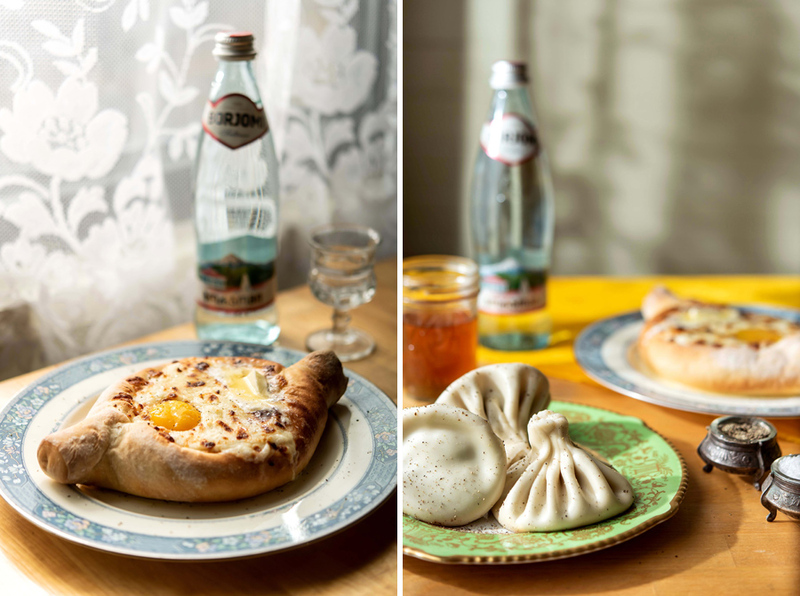 They serve Georgian food- think dumplings and Orange Wine, not pork belly and collard greens. Think the country Georgia, not our lovely southern state. I covered two new Portland restaurants; Kargi Go-Go and Canard. I was able to try all the dishes after I photographed them and I can say… even cold … that they were all absolutely delicious. The Duck Stack (it also has an egg on top) from Canard blew my mind. 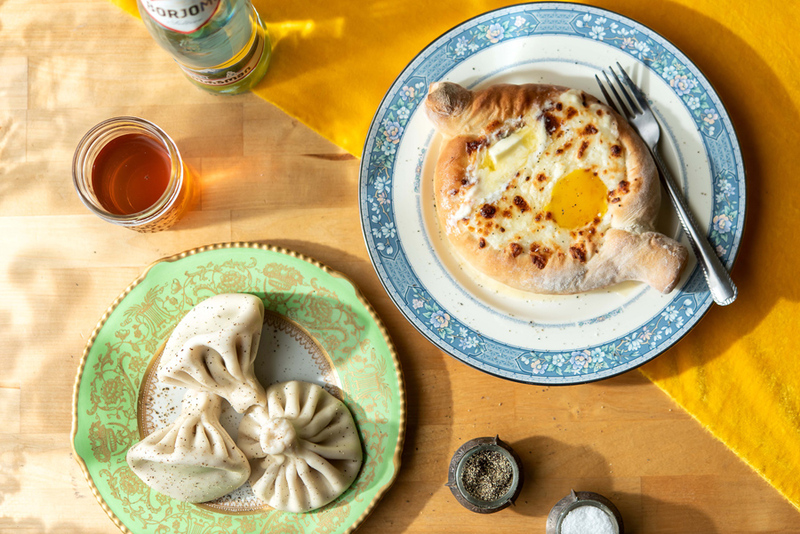 And you’ve already heard that I was a big fan of the Acharuli Khachapuri. The fries… the dumplings… it was all delicious. Thrillist did a great job choosing these two restaurants as The Best New Restaurants of 2018. Here is the full article.